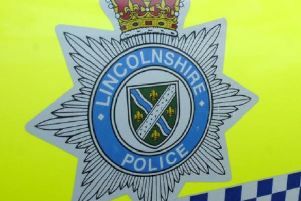 Lincolnshire Police revealed this morning (Friday) that operations have been taking place across the county to disrupt rogue trading criminals. The work is part of nationwide police action, Operation Rogue Trader, to clamp down on criminals who target householders with high-pressure, forceful sales techniques. In Lincolnshire, police have worked with Lincolnshire Trading Standards, HM Revenue and Customs (HMRC), the Environment Agency and Immigration Enforcement. Police say rogue traders and pushy doorstep sellers con vulnerable people by overcharging, charging for unnecessary work, damaging property deliberately and leaving work unfinished – they also use intimidating behaviour to extort money, such as taking customers to an ATM for payment. The multi-agency team combed Lincolnshire this week to seek out rogue traders and provide information and support to residents. Police say the team’s brief was to conduct enquiries, respond to reports of potential rogue trading and raise public awareness of this type of criminality. The team’s patrols continue today. Police Supt Maria Staniland said: “We want to seek out, identify and prosecute rogue traders. This is our aim not only in the week of action, but throughout the year. “There is evidence to link rogue trading to distraction burglary so it is important that we explain what these people do and how they work. “If residents are familiar with the techniques they use, they are in a better position to protect themselves and their families and neighbours from becoming victims. “Offenders target those that they think they can trick or bully so that can mean the most vulnerable people of all. Principal county trading standards officer Kirsty Toyne said: “Doorstep crime can affect anyone, but most often it is the elderly and vulnerable who are targeted. “Rogue traders can be very persuasive and convincing in their approach and it can be very distressing and frightening for an elderly or vulnerable person who is unaware of how to protect themselves. Anthony Scott from HMRC’s Hidden Economy Team said: “This joint operational activity is just one of HMRC’s Hidden Economy Team’s crackdowns on the dishonest minority of people who try to keep outside of the tax system. If you are caught you may not only have to pay what you owe but additional penalties and interest on top. Police were deployed to the road check site at Thorpe on the Hill services on Wednesday. They were joined there by colleagues from EMOpSS (East Midlands Operational Support Service), HMRC Hidden Economies and Fuel Control, Lincolnshire Trading Standards and the Environment Agency. • EMOpSS stopped more than 60 vehicles and 75 people throughout the operation. • Lincolnshire Police seized two vehicles under SOCAP legislation for having no insurance and issued two fixed penalty tickets for traffic related issues. • HMRC Hidden Economies instigated nine cases of interest. • The Environment Agency checked 28 vehicles but no illegal waste carriers were detected.